Greetings. I have raised calcium and parathyroid hormone (PTH) levels, which I've been told is most likely due to Primary Hyperparathyroidism. My surgeon's recommendation is that I undergo parathyroidectomy, using the minimally invasive technique (not the ear to ear gash of yesteryear). Subject to everything going well and my calcium levels returning to normal, what length of abstinence (if any) from recreational diving would you recommend? In the interim, are there any adverse effects specifically associated in diving with raised calcium and PTH levels? Thank you in advance for your response. Such a great service. Perhaps you should run the whole NHS. Typically there are four parathyroid glands in the neck, and they regulate the levels of calcium and phosphate in the blood, crucial to correct functioning of the nervous and musculoskeletal systems. What you have is a condition in which the glands are overactive. Surgery to the parathyroids almost always fixes the problem entirely, and as the glands are basically the size of lentils, your neck need not be severed in the process. After a successful op, judged by the hormone and calcium levels returning to normal, there should be no issues with diving again. I would estimate 4-6 weeks post surgery to achieve this, but some lentils are bigger than others. What to do pre-surgery is more difficult. It would depend somewhat on the extent and nature of your symptoms; the old aphorism "stones, bones, moans, and groans... with psychiatric overtones" gives a guide to those that would be of concern in a diver. Kidney stones, bone pain, constipation, abdominal pain, fatigue, confusion, anxiety, hallucinations and irritability have all been described. 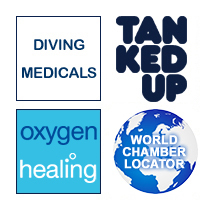 If you are feeling well, however, then cautious and non-strenuous diving itself is unlikely to be a problem.